YXFlash is a new application that is available in Cydia and includes the codecs to display Xvid / DivX video files . We will not longer need to convert movies into a format supported by Apple. The converted videos do play a bit smoother due to hardware acceleration, but xvid videos are watchable, at least the ones I tested. The player also plays flash content if you have downloaded flash flv videos to your device. It is not a web based flash player, this does not play flash videos embedded on websites. In order to add the videos just upload them using iFunBox or iPhone Browser. The free version offers support only for MP3 and DivX. You can download the application via Cydia in the BigBoss repository. The full version costs around $10. WARNING: This tool is NOT a toy. 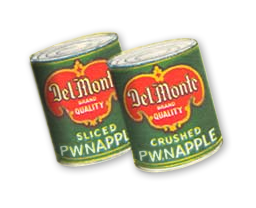 Just use it if you can’t use yellowsn0w on your 2.2.1 iPhone 3G. Otherwise, DO NOT INSTALL IT JUST TO TEST! YOU HAVE BEEN WARNED! This software is for iPhone 3G users who upgraged to 2.2.1 firmware, but still need yellowsnow unlock. 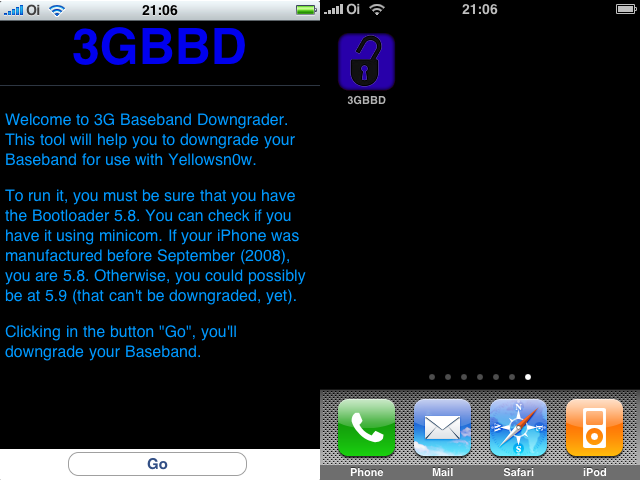 Yellowsnow doesn't work with 2.2.1 firmware's 02.30.03 baseband. So we need to downgrade it to version 02.28.00, that was used in 2.2 firmware. To downgrade it you need this software, that you can install via Cydia. It is very easy to use. Just download it from Cydia (called 3G BaseBand Downgrage), open the app and click Go. The 3G Baseband Downgrade just works on iPhones 3G with Bootloader 5.8, that can be detected using minicom. If you don’t know how to use minicom, there’s a “simple” way to know if you are 5.8 or 5.9 (but this is not 100% sure). 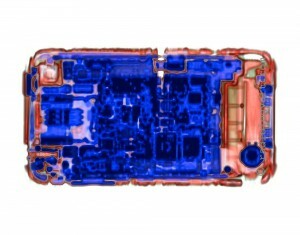 If your iPhone was manufactured before September (2008), you are 5.8. Otherwise, you are 5.9 (that can’t be downgraded). Apple has announced the date for it’s 2009 World Wide Developer Conference: June 8-12. Last year, Steve Jobs’ Keynote at WWDC gave us an update on iPhone 2.0, the introduction of MobileMe, and the unveiling of the iPhone 3G. What will they have for us this year? More iPhone 3.0 no doubt. iPhone gen 3? Snow Leopard? Mac Netbook? iPhone OS is the world’s most advanced mobile operating system, offering you a revolutionary platform for designing innovative mobile applications. Learn every aspect of iPhone development — from the powerful tools and frameworks to enhancing your application with the unique features of iPhone OS. iPhone 3.0 OS is jailbreakable on all devices. It’s just those using 3G yellowsn0w that have to show some restraint and wait for PwnageTool to create a custom IPSW that avoids the baseband update. If you are using yellowsn0w, do not update or restore to iPhone 3.0 firmware. You will lose yellowsn0w and find yourself unable to revert the baseband to get it back. iBluetooth, the world first application that enables the file transfer via Bluetooth on your iPhone, is finally here! 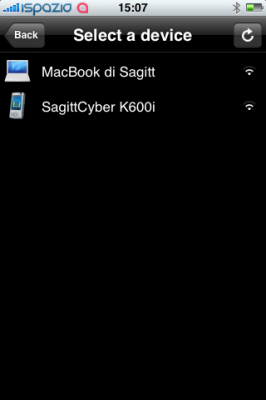 You can install it from Cydia (iSpazio Repository). One of the most elusive and desired apps for iPhone is turn-by-turn GPS navigation. We heard that TomTom was developing a GPS navigator. To date, it hasn't shipped. Recently, the focus has been on xGPS, an app that requires a jailbroken iPhone to work. At Mobile World Congress 2009 (MWC09) in Barcelona, Spain, Sygic is demoing a version of their namesake GPS navigation software running on an iPhone 3G. The Sygic software uses maps from TeleAtlas, the same company that supplies map data for Google Maps. Sygic produces similar software for Windows Mobile and Symbian devices. Applicatin has turn-by-turn GPS directions with voice prompts, points of interest, support for multiple countries, and locally-stored maps. DevTeam updated yellowsn0w to version 0.9.8. It will not work with regular 2.2.1 firmware. If you want 2.2.1, you need modified (!!!) 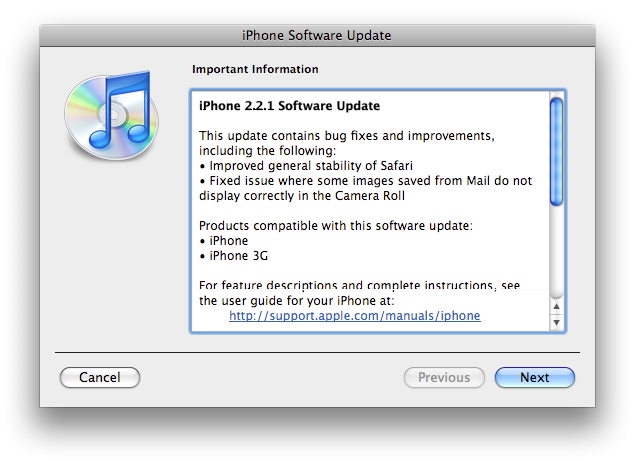 firmware 2.2.1, in which old baseband from firmware 2.2 is preserved. Version 0.9.8 adds strability and fixes some bugs. So If everything works fine, I reccomend just leave it like it is. For example, I use 0.9.6 and feel happy with 2.2 firmware. MacRumors has discovered that iPhone's firmware has evidence of the next generation iPhone which has been designated "iPhone2,1". 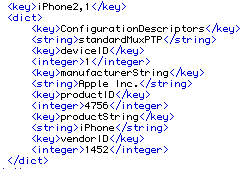 This new model number can be found in the USBDeviceConfiguration.plist in an unencrypted firmware. Apple uses these models numbers to distinguish between different hardware models. The original iPhone carries the model number of "iPhone 1,1" while the 3G iPhone is labeled "iPhone 1,2". These numbers do not change for simple storage increases and instead represent functionally different devices. Similarly, the iPod Touch was originally introduced as the "iPod 1,1" and the most recent hardware revision was labeled "iPod2,1". 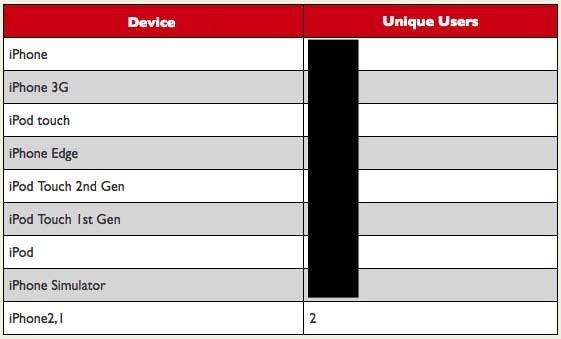 Meanwhile, at least one developer has noticed actual "iPhone2,1" models in use based on PinchMedia ad serving reports. Dev Team finally made it. They created software called yellowsn0w, that unlocked iPhone 3G. Now you can use any carrier you want. I successfully unlocked my US version.It works much more stable than sim proxy method. Please, back up everything on your iPhone before you start, just in case. Everything you do is your responsibility. I had to go through all 4 steps to make my iPhone 3G work. I used only my new sim without sim proxy. Dev Team published iPhone 3G software unlock video. Very good demonstration! The software is expected to be released on 31 December 2008.